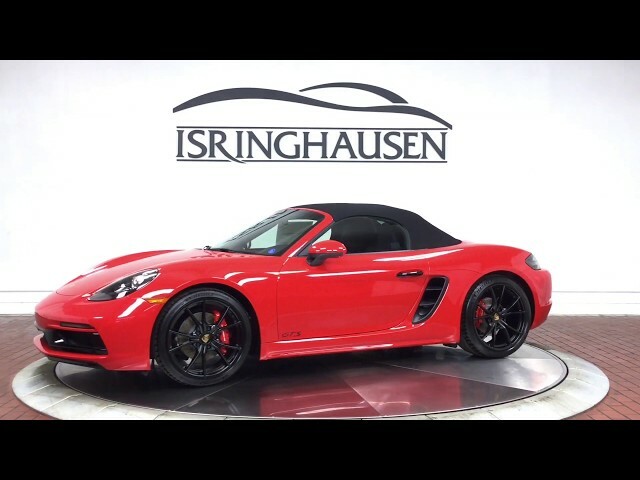 This beautiful 2019 Porsche Boxster 718 GTS in Guards Red comes with factory options including Premium Package Plus with 18-Way Adaptive Sport Seats Plus, Sport Design Package in High Gloss Black, Bose Surround Sound, Matching Safety Bars, Apple CarPlay and much more. GTS represents a sports car concept for those who have zero desire for compromise in their motoring experience. Contact a Porsche sales specialist today to take advantage of this uniquely configured Boxster GTS by calling 877-362-9715. Isringhausen Imports is Central Illinois' premier new car, used car and certified pre-owned (CPO) dealership for quality BMW, Porsche, Volvo and Mercedes-Benz vehicles. At Isringhausen Imports, we have become a leader in the industry by working each day towards the greater good of our customers, our fellow employees, and our community.